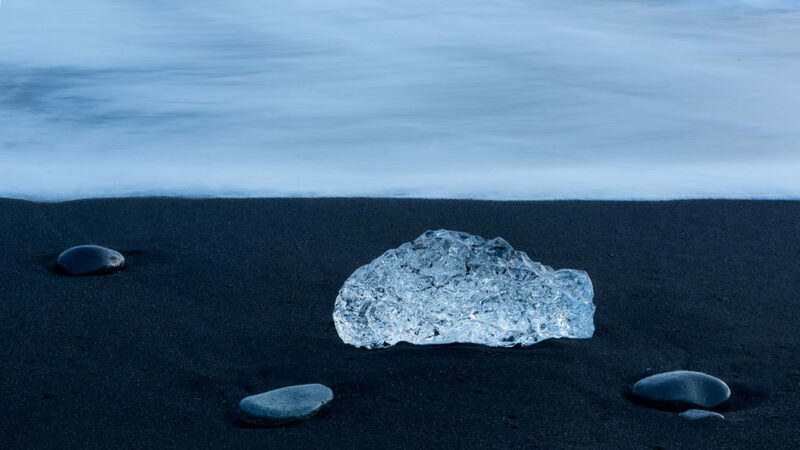 The most known spot of Iceland is Jökulsárlón, but across the road is this volcanic dark beach, just as suggestive. Pieces of iceberg fall off from the Vatnajökull glacier into the Jökulsárlón lagoon and flow into the sea through a narrow passage. The undertow brings them back to the beach and the little shimmering jewels are at the mercy of the waves on the dark shore.